All Publishers who have earnings from display advertising and especially those who want to develop their direct deals have to make the important decision which ad serving platform to use. Ad serving platforms (also called: ad servers) handle the entire process of showing display advertisements on a website, including managing rotation, geo targeting and other rules and targeting criteria. And of course - reporting on performance. So what are the best ad serving platforms? 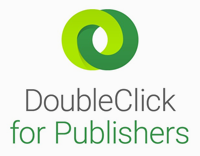 DFP or DoubleClick for Publishers, once known as Google Dart, is one of the most popular ad serving platforms out there. DFP provides a variety of features for managing the inventory and cooperation between the sales teams and the traffic managers. It has near real time performance statistics. It also integrates easily with AdSense, a major benefit for publishers who are selling some inventory directly and in the same time monetizing remnant inventory through the Google ad network. Other networks can also be used as well and optimized for optimal revenue by using Price Priority. With DFP you can compete all your ads (direct deals or ad networks) with the Open Ad Exchange if they are not defined as Sponsorship. You can enter the average eCPM for each ad network or the CPM of a direct deal and let the Open Ad Exchange compete against them for each impression. DFP isn't always the most intuitive product to use and it may take a lot of training to get you used to the interface and functionalities. It's not easily self-explanatory and to make it more difficult – there is no official support besides community forums. Because of this, problems can be dragged forever or simply stay unsolved. Another minus is the fact that DFP’s interface is slow and it also freezes periodically. It takes a significant amount of time until you finish a setup of a new campaign or change existing settings. DFP is free for publishers who serve less than 180 million monthly impressions. This cap does not include AdSense or AdExchange impressions. For publishers who exceed this limit, Google offers the DFP Premium solution. If you'd like to get started on the free product, you can sign up right away. Smart AdServer is a French ad server provider with known international presence. Most of the customers tend to be European online publishers. It is very robust service and a good alternative to DFP if you are looking for an ad server. Smart AdServer is famous with its simplicity of use and well-organized interfaces. It has an excellent access to DSPs. It is interconnected with the APIs of several performance-based marketing companies, affiliation platforms and ad networks. The main reason publishers like them is that this ad server provides customizable ad templates for both desktop and mobile web and delivers amazing ad experiences without any special technical expertise needed. Smart offers a gallery of ready-to-use rich media ad formats for display campaigns: expandable, video, native ads, Rising Stars and more. The gallery makes it simple to build and deliver great ad experiences. You can take a look at the best ad formats. There is no availability to upload first or third party data for targeting. Reporting is not so great and needs more features. Some clients report that the engineering team is really slow. If you have technical issues, it is hard to work with them. This Adserver is not free, and you will be charged per 1000 impressions served. There is no public info about the pricing at Smart AdServer, so if you are interested, request a demo and ask for more details on their website. We have built a Programmatic Marketplace where marketers and media buyers can book campaigns directly with the ease of a click of a button. Trough our platform they get instant access to all publishers inventory directly. It is created especially for this task and is tested on various websites and devices. Just contact us and we will help you to gain the maximum from your ad placements.